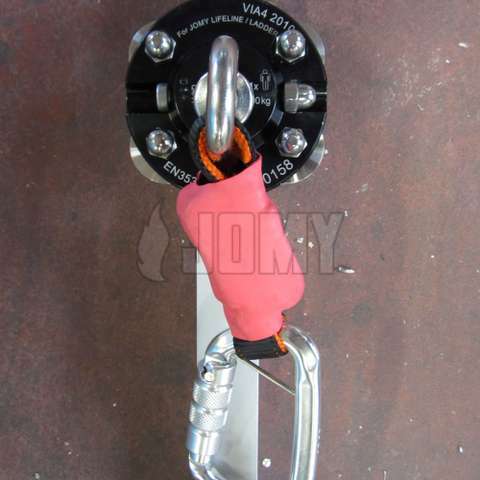 check An added value on all JOMY fixed products. 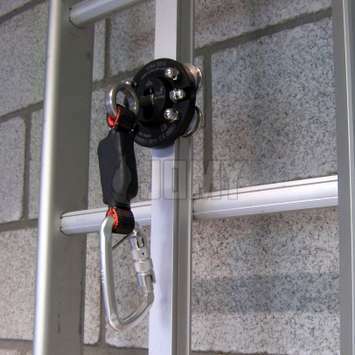 check On ladders: rail installed separately or integrated into the ladder beams. check Real fall protection, reusable after an incident. 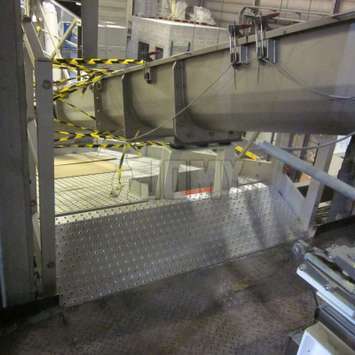 Personal protective equipment against falls from a height - Part 1: Guided type fall arresters including a rigid anchor line. 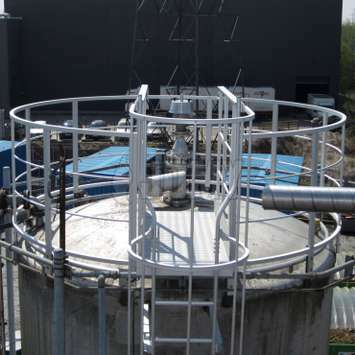 Our guardrails for collective protection are engineered according to the EN 131 standard. 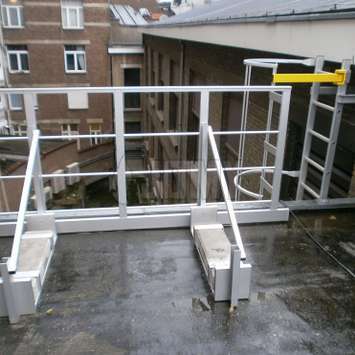 The use of a lifeline with a carriage on a fixed ladder makes the installation of a protection cage obsolete whilst providing a real fall protection. 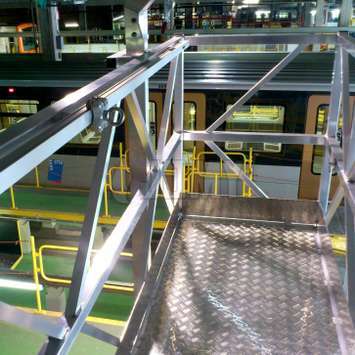 The rigid rail is here integrated into the ladder beams. 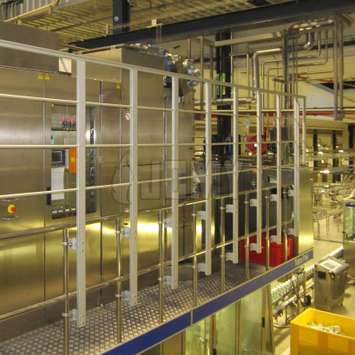 This system is maintenance-free and reusable, requiring only a visual inspection after an incident. 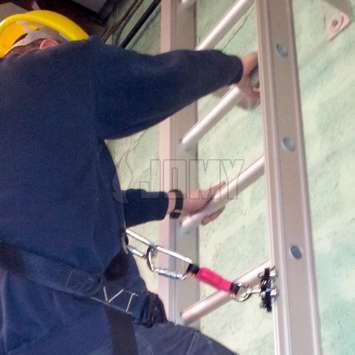 When used properly it is the safest way to climb and for performing tasks standing on a ladder. 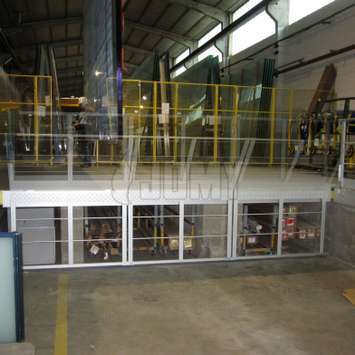 The aluminium rail has a section of 31 x 31 mm and can be installed straight or bent, with a minimum curve of 50 cm (1' 7.8"). 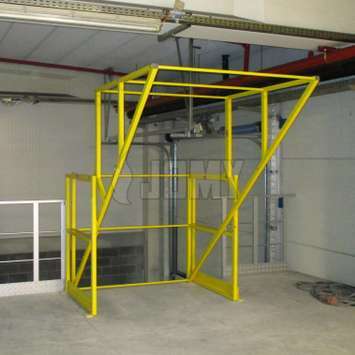 We have developped a lot of options so that it can be easily installed on or besides a fixed ladder. 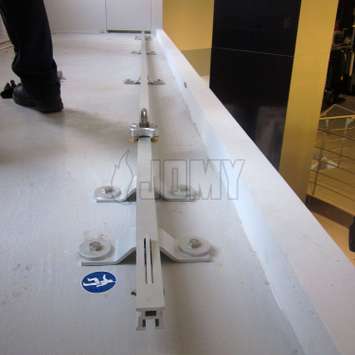 This rail system can also be used on JOMY retractable ladders! 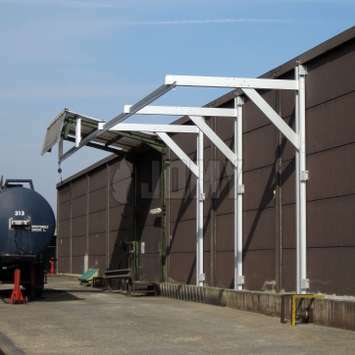 For a complete protection on an installation, JOMY engineers will combine the horizontal and vertical systems. 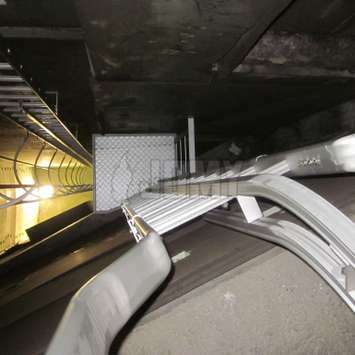 JOMY guardrails are engineered according to the EN 131 standard. They can be executed in a lot of forms and styles and with a lot of options, for example a kick-plate at the bottom of the guardrail. 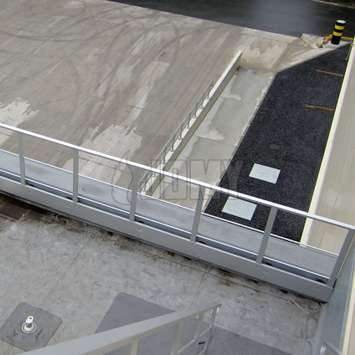 Our guardrails can be installed onto concrete slabs with bolts or without perforating the roofdeck by using heavy weights for ballast. 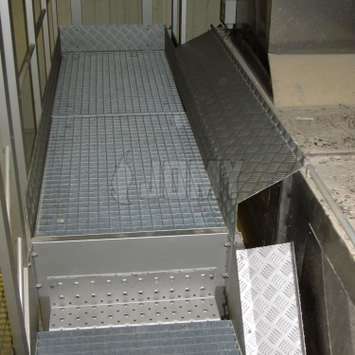 Depending on the dangers around your installations, we can provide a multitude of protections to avoid falls between gaps and holes. 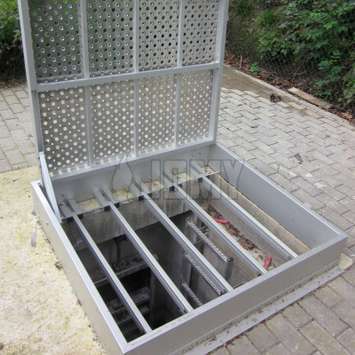 Different aluminium plates are available and can be formed to fill in any type of spaces.